Now is Wow: Who is he? 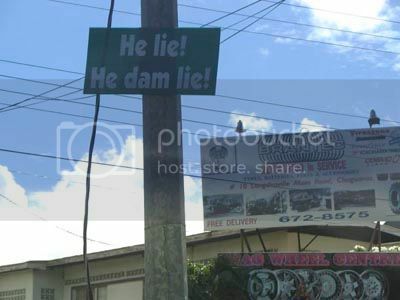 i saw the same sign outside of a bar on Maraval Road in Newtown. you know where iwer have his station ...well near there...i was wondering also what it was about too? it would be nice to find out what the person is really expressing. Yes, it seems to be something to do with Carnival. Most likely a calypso about a horner man or a politician.